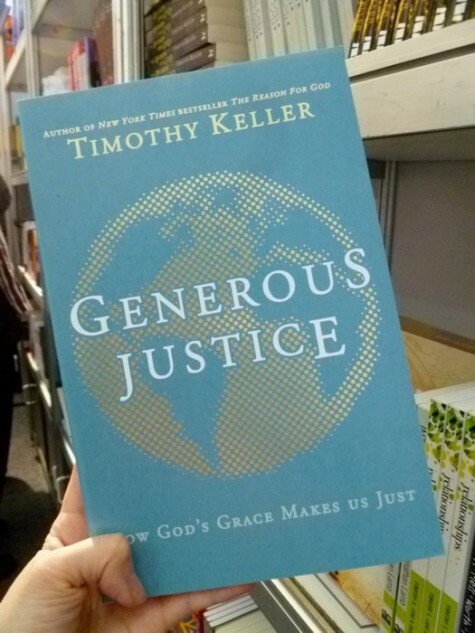 Dr. Timothy Keller, founding pastor of Redeemer Presbyterian Church in NYC has something to say about Justice and the Church. Curious, that type of justice being prescribed is a “generous” one. 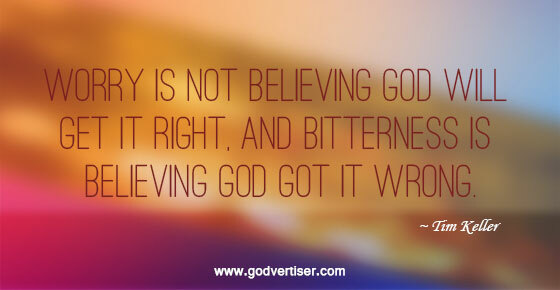 In a nut shell, it is in the character of God and we are called to live it out, just as Micah 6:8 tells us plainly. While his first NY Times Best Seller, The Reason for God, was aimed at non-believers generally, this book directs the challenge toward a readership within the church community. 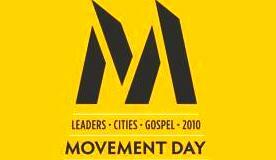 If you pause the visit the Movement Day website, you’ll find some tangible reasons why they they came together. The 40 largest US metro regions are home to 170 million people — this is more than 50% of the total 2000 census population. And New York City is a unique home alone by itself — the 21.5 million people in the NYC metro area represent 1 out of every 300 people on the planet! 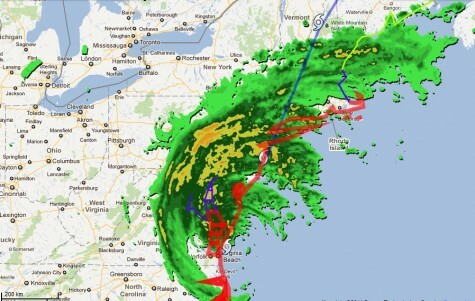 In our large cities we face daunting spiritual and social challenges. These include vast unreached populations, profound poverty, and an emerging youth population struggling to surpass the 50% graduation rate. The critical belief is that it takes a movement of God’s Spirit and God’s People to transform a city. 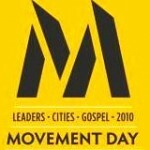 It takes collaborative leadership to initiate a Gospel Movement. Dr. Timothy Keller of Redeemer Church gave one of the keynote talks. He titled it, “It Takes A Movement To Change A City.” It is a great talk, much of it is at the heart of Redeemer City to City‘s approach to church planting. 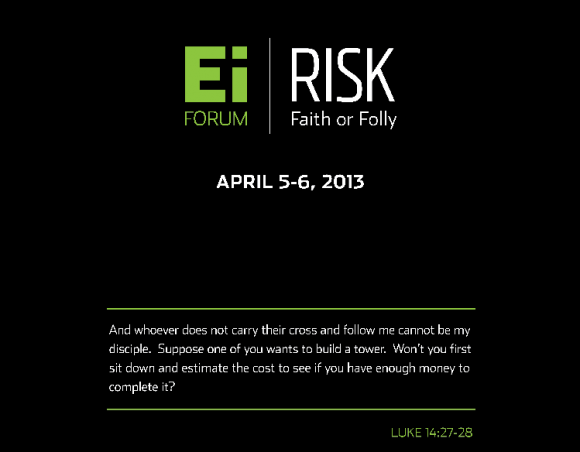 This past week, a large group of Christian entrepreneurs gathered again to discuss what Gospel Entrepreneurship looks like. 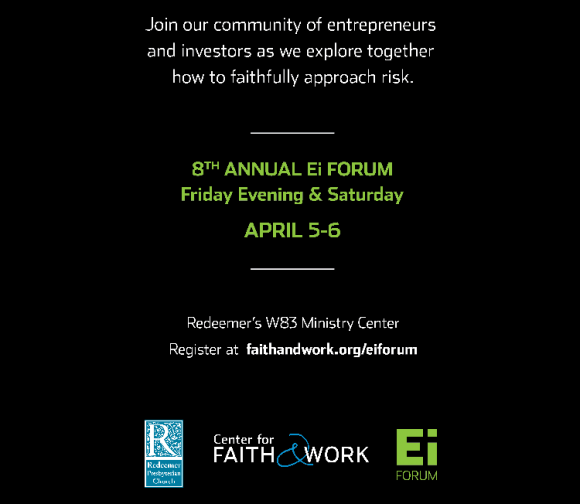 The Entrepreneurship Initiative, a part of Redeemer‘s Center for Faith and Work hosted the event up high above NYC at the new 7 World Trade Center. It was the perfect site to engage in discussions about new creation, especially as we could see Ground Zero coming to life on one side of the building while the hustle and bustle of the city was alive and well on the other side. The best part was hearing Tim Keller speak about “God’s Brand” . . .
God’s brand is weakness and humility, and nothing can go up against it. Dr. Keller has been a long time pillar for me in my own faith development and it is always good to be able to struggle with issues such as Gospel Entrepreneurship with Tim Keller in the same room. I love the way in which Dr. Keller sees the identity of Redeemer must avoid the selfishness of secular culture but at the same time, the tribal nature of mainline denominational churches which can dominate any church’s DNA. QUESTION: Are the stories and images your church projects trying to promote its own brand or God’s brand? This week, my bible study group kicked off a new 8-week series. Our group is sitting down with Tim Keller over the next two months to go through The Prodigal God DVD-based study curriculum. I’m excited since going through the book in a group will most definitely be different than my first read of the book when it first came out. Our first group discussion already brought out some tangible thoughts and questions to chew on: Just how do you know if you are really relying upon God for all your needs? Repentance is a concept easily associated with the younger son’s position, but how can I come to a place of repentance for righteous living? Do we all need to be able to identify with both sons? . . . and many more. A lot of the questions started to veer towards how can I ensure that the Gospel is reflected in my life — my daily living? It’s going to be a great study series for all of us. But today, I have something to get even more excited about. I found that latest DVD Bible Study curriculum put out by Tim Keller’s Redeemer Presbyterian Church — and it’s called: GOSPEL IN LIFE! The materials include the Gospel in Life book by Tim Keller as well as an 8-lesson group study guide curriculum to go along with the book. This is an intensive 8-session course on the gospel. It will the group members explore and understand how it is lived out in all of life—1st in your heart, 2nd in community, and 3rd out into the world. In each session, Timothy Keller presents a 10 minute teaching segment on the gospel. Session 1 opens the course with the theme of the city: your home now, the world that is. Session 8 closes the course with the theme of the eternal city: your heavenly home, the world that is to come. In between, you will look at how the gospel changes your heart, changes your community, and changes how you live in the world. QUESTION: WHAT BIBLE STUDY CURRICULUM ARE YOU CURRENTLY USING IN YOUR SMALL GROUPS? If you have a link to the publisher’s page for it too, please feel free to share it here too! 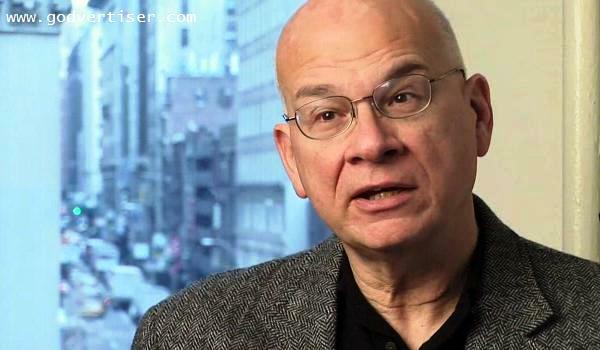 This Christmas break, I’m sitting down again with Tim Keller and his Counterfeit Gods. It is always refreshing to take in a story or message that’s well told. And that’s what Dr. Keller, lead pastor of Redeemer Pres in NYC does – tell great stories, share some great messages. As Dr. Keller starts to put out a book a year (I’m eager to find out more about his next book which is apparently on suffering/evil), his unassuming style is being noticed by more and more people. You’ll notice that the buzz about #tk is constant in the Twitterverse. And yet some people can’t get enough of the messages he offers from the pulpit. 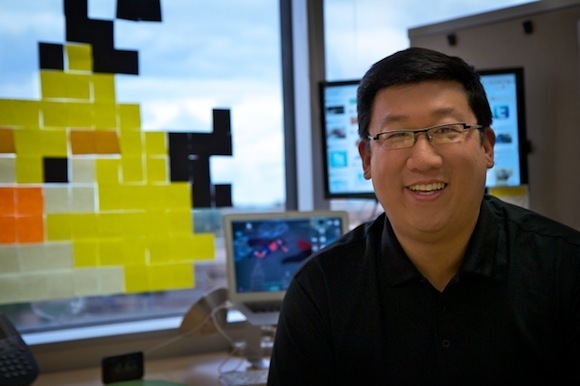 If you haven’t been tipped off yet, here’s some good news. 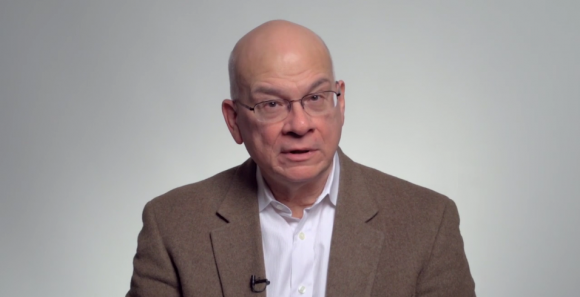 Redeemer has released 150 doses of classic Tim Keller. You’ll notice that much of the content that Redeemer has chosen to give away completely free are great to share with friends — especially those that have questions about faith, the Church, and God. 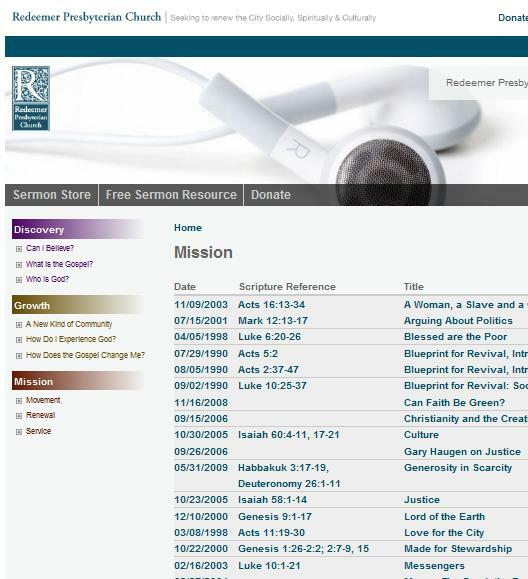 The only issue anyone can have with this huge archive of free sermons from Dr. Tim Keller is that there’s no 1-click to download all 150 mp3 sermons at once. But if you listen to just one sermon a day during your daily commute, workout, or daily devotion time, you’ll get to spend enough time with Dr. Keller over the next 5 months to the point where you will probably find yourself starting to tell some great stories…share some great messages. Doesn’t that sound like Good News to you? 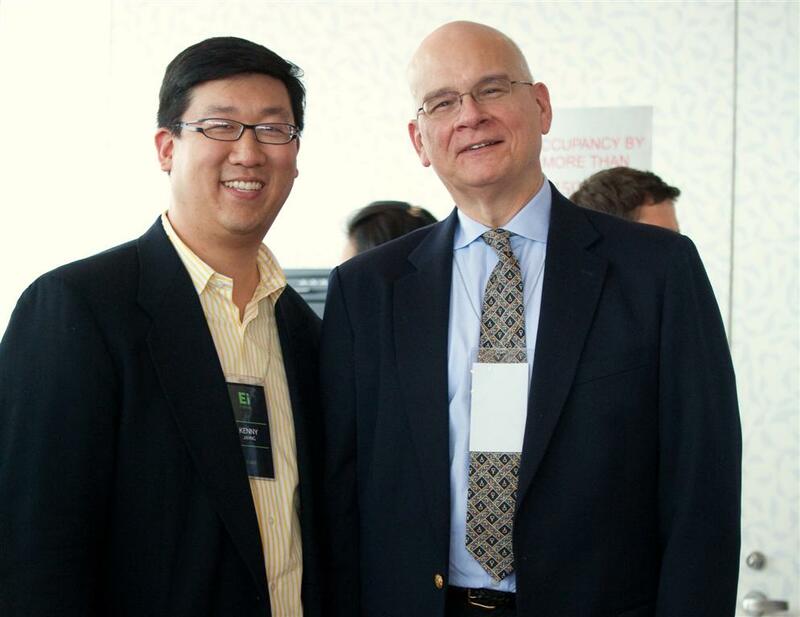 Tim Keller was recently featured as one of the headliners at this year’s Leadership Summit put on by Willow Creek. Some of the other speakers on the list are favorites of mine too including Jessica Jackley (the best $25 you’ll spend this year if you try out Kiva.org), Dave Gibbons (Monkey and the Fish and if you’re ever in southern CA, you must visit New Song Church) and Chip and Dan Heath (awesome book! Made to Stick from the moment you see the book cover jacket in person you’ll understand why).